While we've been concentrating on both the full-touch BlackBerry Z10 (L-Series) and the full QWERTY device (N-Series) we forget that it's been said all along that there will be more BlackBerry 10 devices available after the initial launch. 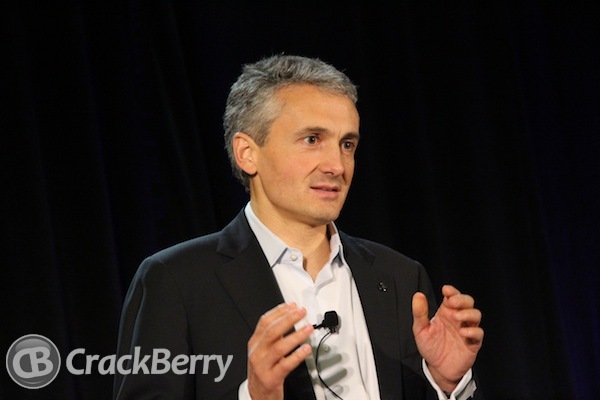 RIM CMO Frank Boulben confirmed in an interview with FierceWireless that RIM does intend to release as least six BlackBerry 10 devices over the course of 2013, all falling into various pricing tiers. There will also be no exclusive carrier partnerships for new devices as there has been in the past. We've heard that there will be both high and low end devices that look to fill the needs of users and various different markets across the globe. There hasn't been much available as to just what the devices will be, but we expect to see them starting to appear shortly after the January 30th launch event and the official release of the BlackBerry Z10 and full QWERTY model.